The immediate and complete withdrawal of the International Brigade was announced by Dr. Negrin, the Prime Minister of Spain, to the Assembly of the League of Nations on September 21st, 1938. Some days later the non-Spanish combatants left their positions on the Ebro front, and fell in for their last parade at which they handed over their arms to the Spanish authorities and in vibrant speeches declared their lifelong friendship with the people at whose side they had fought for two years. Thus was written the last chapter of a great epic in the international history of the peoples. The Spanish Government is fully entitled to include non-Spaniards in its armed forces, but it has decided to withdraw the International Brigade, now numbering only ten thousand, in order to demonstrate the purely national character of the Republican cause and to facilitate the re-establishment of international law and the complete elimination of foreign intervention, which has led to the invasion of Spain by a foreign force of 80,000 Italian and 10,000 German regular troops despatched by their respective governments. Government spokesmen estimate that, including the Moors, there are 200,000 non-Spanish troops on the rebel side. Spain bids a sad goodbye to the International Brigade but the departure speaks volumes for the political and military situation in that country. The Republican Army, now one million strong and yet to reach full strength, has broken the offensive power of Franco’s forces and, as a purely Spanish Army, is preparing for further advances. The contrast is Franco’s dependence on foreign troops, above all on the Italian Air Force and the German technicians. The trained soldiers of the Republic can no longer be scattered by the immensely superior armaments of Fascism as they were even as late as March, 1938 their armaments are still weaker but their numbers and morale are infinitely higher. Time is on the side of the Government. Fascism cannot win in Spain, but the suffering of the people can be terribly protracted unless the soldiers, airmen and technicians of Mussolini and Hitler are withdrawn, thus permitting the Spanish people to achieve a reconciliation which will preserve the independence of their country. This book is a history of the British Battalion, of the two thousand British volunteers who have fought and bled on Spanish soil since August 1936. The killed and missing number five hundred, the wounded over twelve hundred ; many are incapacitated for life. Less than eight hundred remained in the ranks when the withdrawal took place. Their story is one of breathless bravery, wonderful comradeship and mighty achievements. Asking for no reward they fought for freedom, democracy and peace. And they accomplished much. 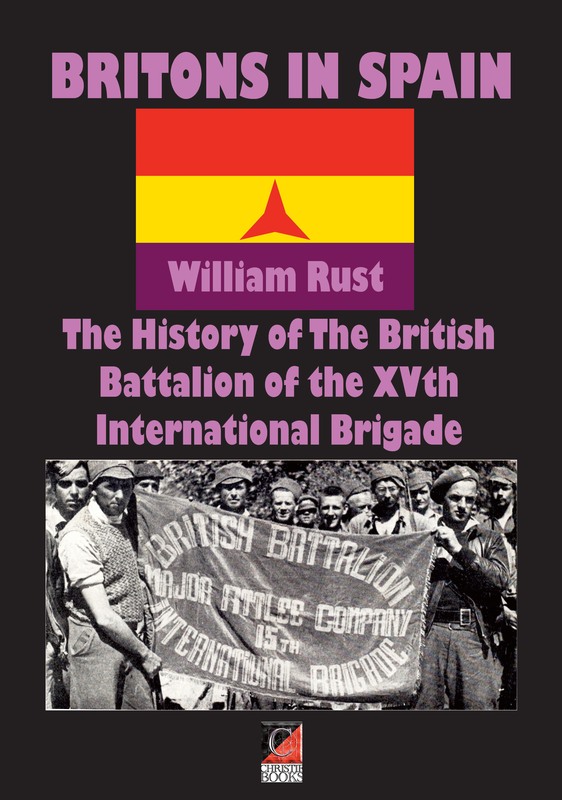 In compiling this history I have had access to the official documents of the International Brigade, and I have also drawn on The Book of the 15th Brigade, edited by Frank Ryan, and published by the Commissariat of War of the 15th Brigade in February 1938. I have also been guided by my own observations as correspondent of the Daily Worker in Spain from November 1937 to June 1938. But my chief source has been the stories of the men themselves, as recounted to me both in Spain and in England. In addition I have closely studied hundreds of the letters sent home by the men and which were so kindly lent to me by their relatives. I have thus been able to write a history, with what success the reader can judge, drawn from the experiences and feelings of the volunteers themselves, and using as far as possible their own words. Hence the many quotations. I must also record the valuable assistance and advice of Harry Pollitt who played the principal part in the organisation of the British Battalion, and for two years devoted himself with unfailing energy and devotion to the needs of the volunteers and the care of their dependants.